October this year marks Vintage, Chartered Financial Planners 30th year in business, meaning the Stockton-based firm has been offering financial advice to clients throughout Teesside for the past three decades. Many have relied on their expertise to guide decisions on pensions, investments, mortgages and insurance to build and manage their wealth. 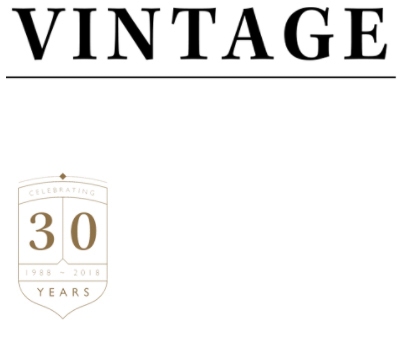 Despite this impressive heritage, Vintage is committed to innovation, using the latest technology, wherever possible, to complement the advice given, but never replacing the values which contributed to success in the first place – integrity, quality, leadership and professionalism. It is this ethos which has allowed the firm to stay relevant over its extensive lifespan. While the client remains at their heart, the vision of the business is to be bold and proactive, moving ahead of the times to ensure the best possible service, a happy place to work and somewhere which benefits the wider community too. The year ahead is an exciting one. Not being afraid to do things differently, they recently commissioned successful local artist Abby Taylor to create a one-off work of art, depicting much-loved local landmark, Roseberry Topping, a piece which takes inspiration from vintage travel posters of the past but also represents the bright future ahead. The artwork is symbolic of the firm. First and foremost, capturing a place close to many Teessider’s hearts and the place Vintage call home, in a way which merges both the old and the new – the style of the past using the tools of the future. The image has now become the showpiece of the firm’s new appearance, extending across the recently developed website and client facing literature. The new look isn’t the only area in which innovation is rife. Both clients and staff benefit from the use of the latest technology across a number of areas, from viewing accounts online to the way the advice is formulated. Vintage will shortly release their updated client portal, named Vintage View. While clients have had access to an online system for a number of years, the updated system has more functionality and will give users a more holistic picture of their financial assets, including integration with bank accounts and the ability to track and categorise spending. Vintage also uses cash-flow software which allows financial planners to model and test numerous scenarios. This allows a planner to see how someone’s spending power or wealth might change throughout their lifetime thus enabling more informed recommendations. The outputs from the software are shown in meetings to demonstrate the options available to the client. The next innovation currently being trialled is a new generation of tablets which replace the need for paper notebooks often used in meetings. 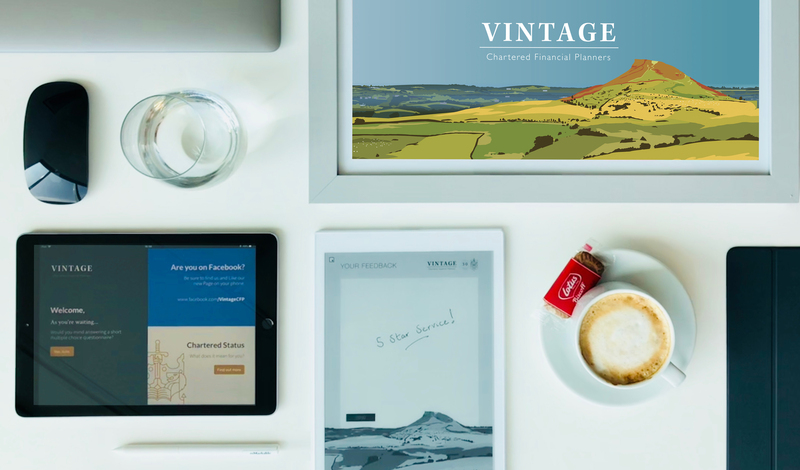 While an iPad has been available in reception for some time the new devices recreate the experience of pen and paper in a digital format, creating both a clear audit trail and contributing to the firm’s mission to reduce waste wherever it can. Other modernisations include the use of optical recognition software and QR codes allowing the firm to effectively scan incoming and outgoing post, automatically storing it in the right place without the need for human intervention. This goes above and beyond the recently reviewed General Data Protection Regulations, meaning that data is kept more secure than ever before and only seen by those who absolutely need it. Despite all this, Vintage isn’t just investing in the future, they also invest heavily in their team, understanding that they are the businesses greatest asset. Many are studying towards their individual Chartered status and the firm can already boast having one of the most knowledgeable Planners in the country, with Steven Hodgson being one of only a handful to hold the prestigious Fellowship status. Those not in traditional financial advice roles are also encouraged to develop themselves in areas relevant to their role.